Newest unit, Russian battalion from the Narvska regiment. Lovely looking force! 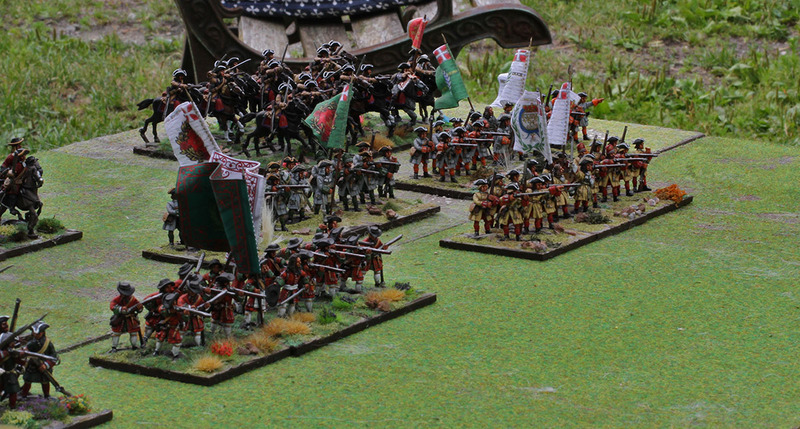 I can't wait to paint up some Russians to support my Cossacks. I like the darkgreen coats of your Russians. They are in a sharp contrast to the red stockings - as it should be. sorry, don't know what happend, lets try a short recap. Truly a UN of nations and figure manufacturers -- but unlike the real UN.. working in perfect harmony! I hope to make it more and more warfare. I like the ebor danes. But any new danes will be warfare. 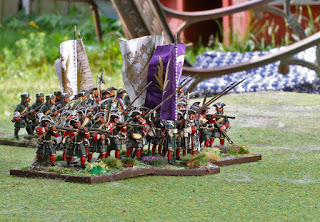 And those musketeer miniature russians will go the way of the dodo as I add more warfare russians.